The Makeup Blogette – Sometimes I blog. 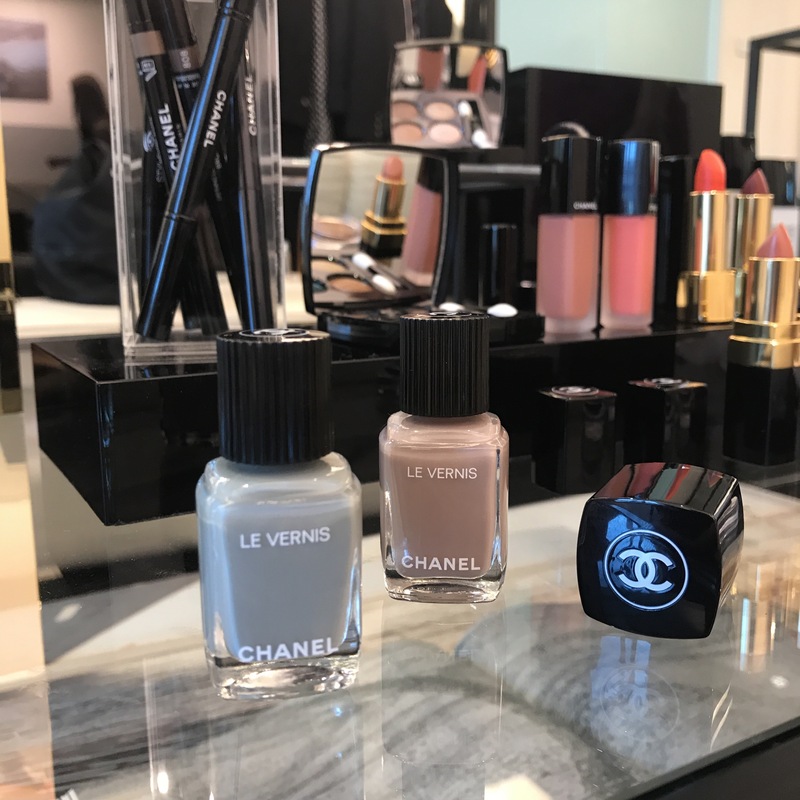 Earlier this week I was invited by the Chanel team to preview several of their new and upcoming beauty launches. The preview took place in their pressroom, and it was almost like I am sitting in a chic (and beige) Parisian apartment, complete with a wardrobe filled with Chanel fashion. I didn’t take too many pictures as I was also occupied with catching up with the team and learning about the new releases and recollecting our fave pieces from past seasons many years ago. At the end of the session, I also tried on their new iconic bag – Gabrielle – which sparked a bag lemming in my mind. I love the shape and overall casual chic vibe, the mixed metal hardware, the way the straps are meant to be worn, really resonated with my style aesthetics! 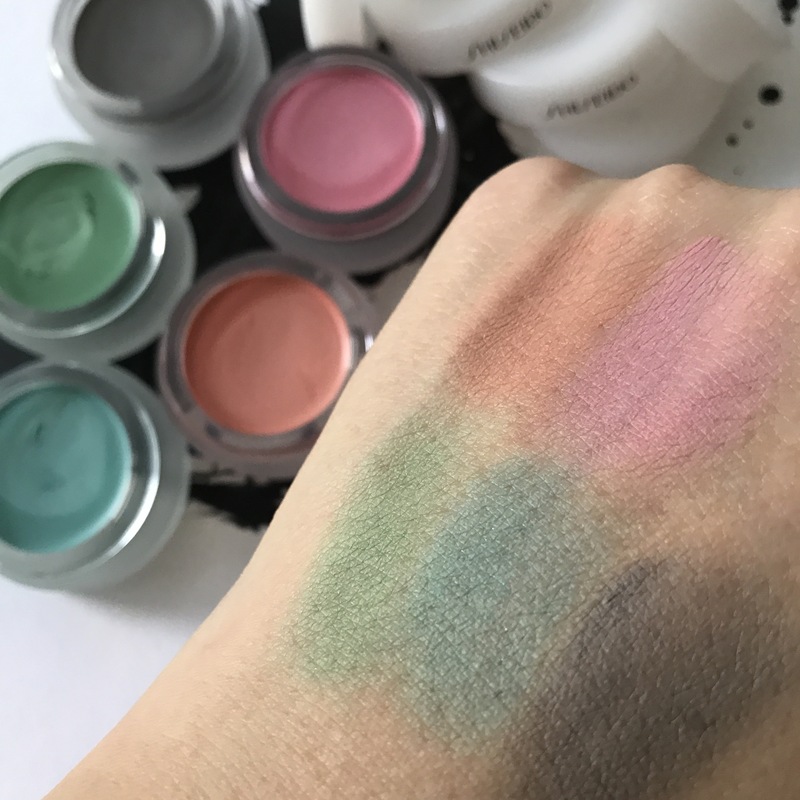 Here is a quick run down of the new beauty releases – do note I am just rattling off everything that I can recall, I do have the official press release and press images, which I might use to supplement this post if you are keen to see more. Here is just a more organic/ informal sharing. 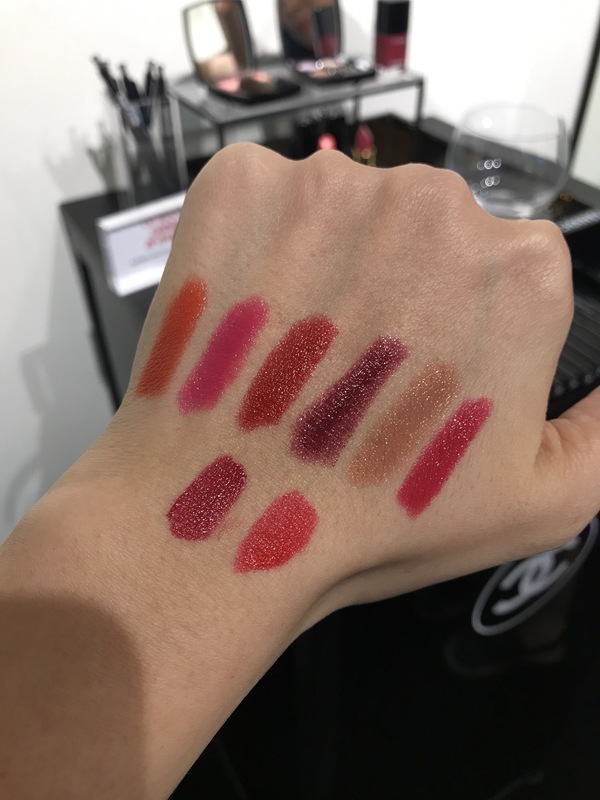 So as you can see, lots and lots of new products to go through and it was impossible for me to swatch and touch everything. I did however, picked a good range of products which I will definitely be testing out and report back soon. I will feature these items time to time on the blog/ IG as I start to use them. 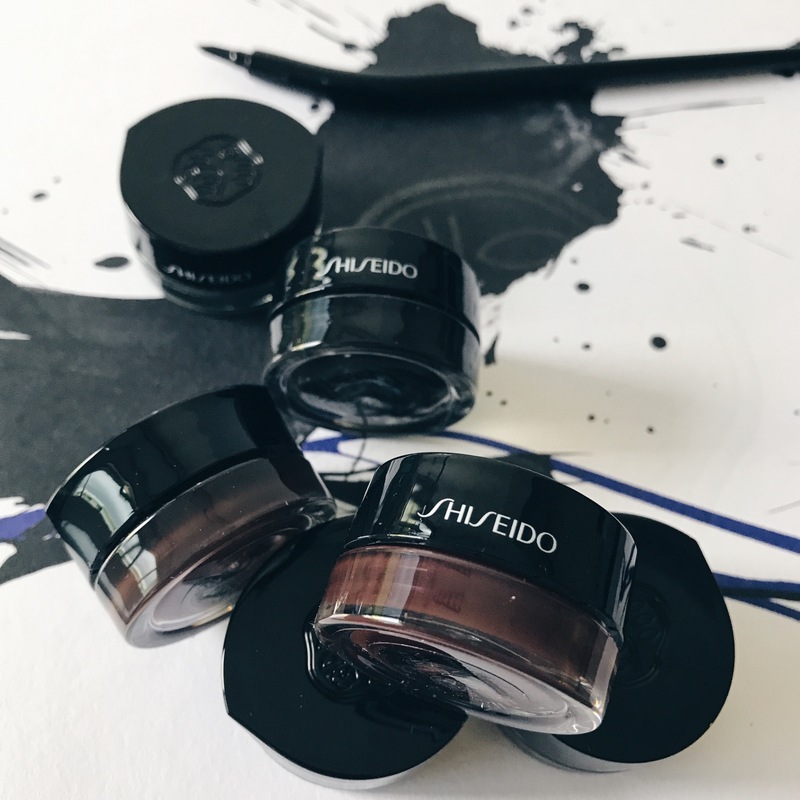 The inkstroke eyeliner pays tribute to the grace and artistry of the time-honored practice of calligraphy, offering ultra precise application, smooth texture and deep color tones. Paired with a unique gel based formula, this product glides on and delivers color impact and adds definition to the eyes. 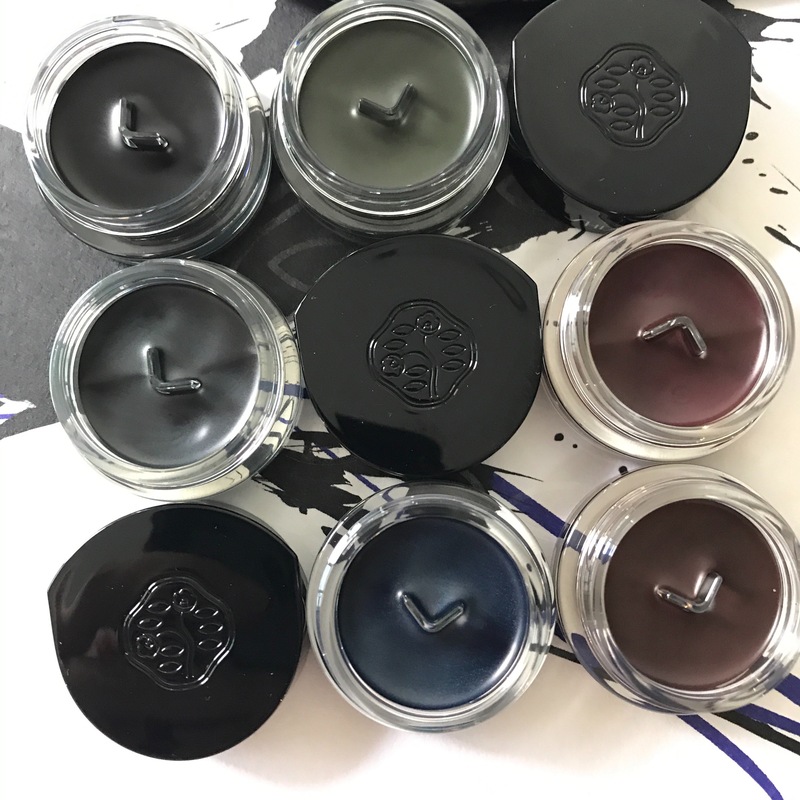 The eyeliners are soft and creamy and come in flattering shades. They are long lasting and has a sweat and sebum resistant formula. The packaging includes an easy to use, fine tipped eyeliner brush with a cap for beauty on the go. Comes in 6 shades, which are flattering eye colors. 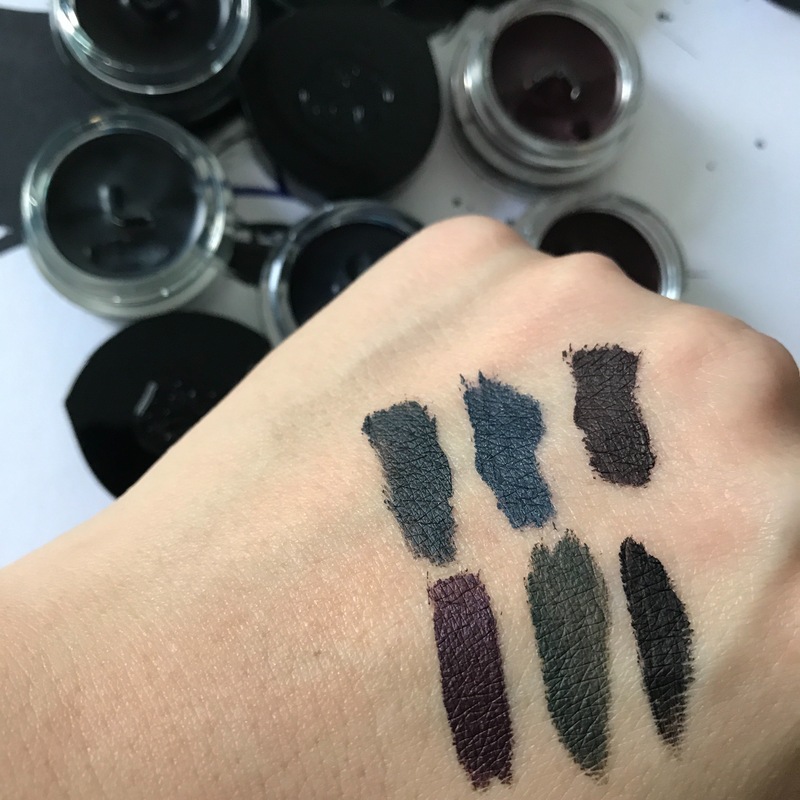 Also new, the Inkstroke Eyeliner Brush sits easily on the lip of the pot, and allows for perfect control with the amount of ink added to the fine-tipped brush. Washi paper has a unique and exquisite translucence that comes from the layering of mulberry fibre. 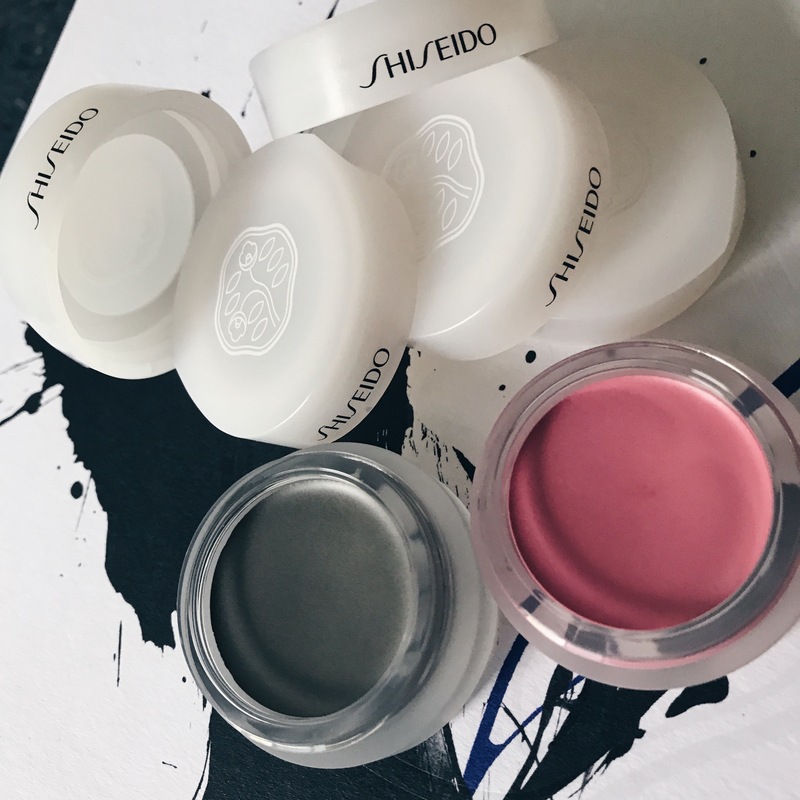 New Shiseido Paperlight Cream Eye Color is smooth and delicate – light touch just like washi paper. 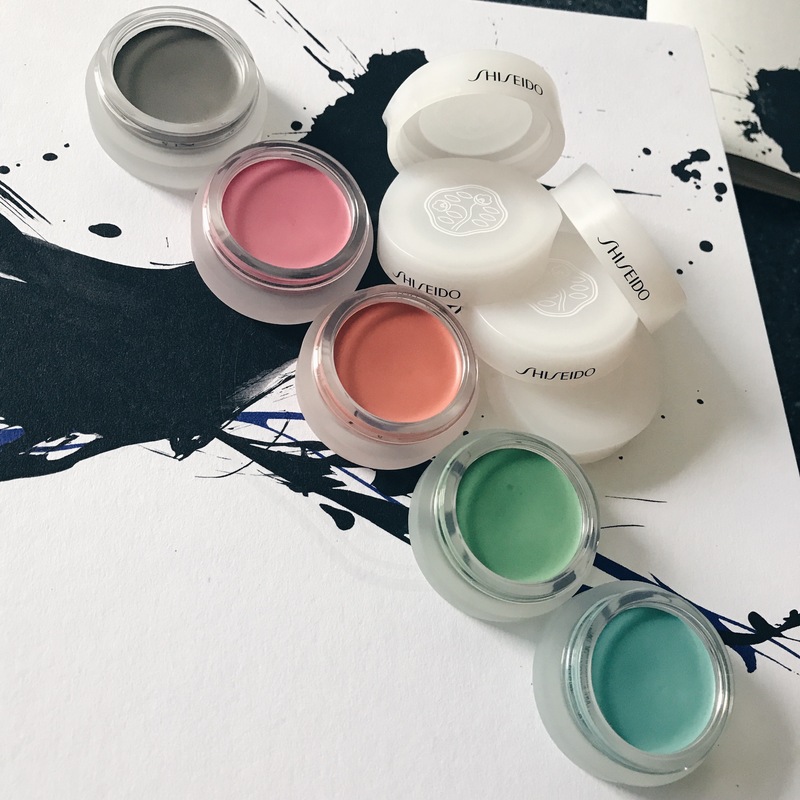 These cream eye color come with a translucent yet matte finish, like traditional Japanese washi paper. Besides the matte yet translucent finish, they have a smooth texture that adheres well to the skin, and does not crease, thanks to the flexible network structure. They also have a long lasting effect which does not fade. 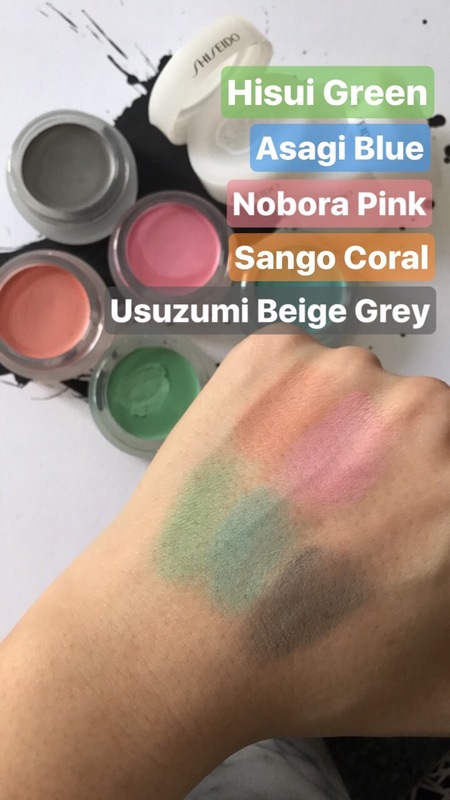 Comes in 8 shades, inspired by the natural Japanese landscape. 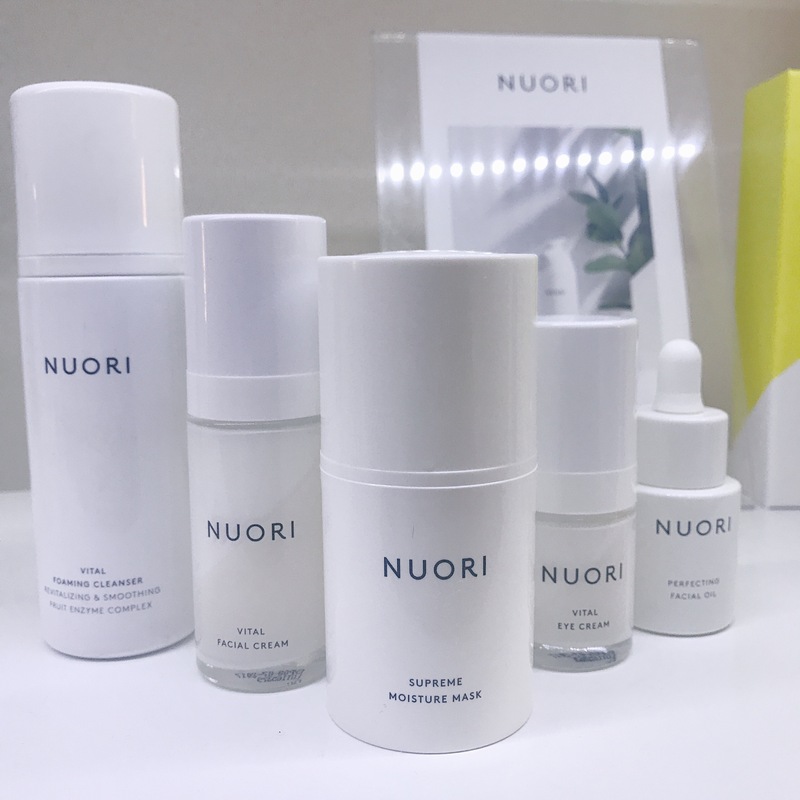 There are times when it is worthwhile to try something different, and in this case, a facial treatment that specialises in the use of only organic products combined with machinery to deliver the best results to rescue tired dull skin. And yesterday I got the chance to try out the Ultra Facial Treatment at Pure Tincture (located at 68 Tras St). Pure Tincture has been around for over 10 years, previously at Aldephi before moving over to its current location in the CBD area. The place is tucked in the midst of offices, bars and restaurants, and besides offering treatments they also stock a selection of specially sourced organic beauty products from around the world. But more on that later. Here are three reasons why I enjoyed my experience and you should try a facial at Pure Tincture. 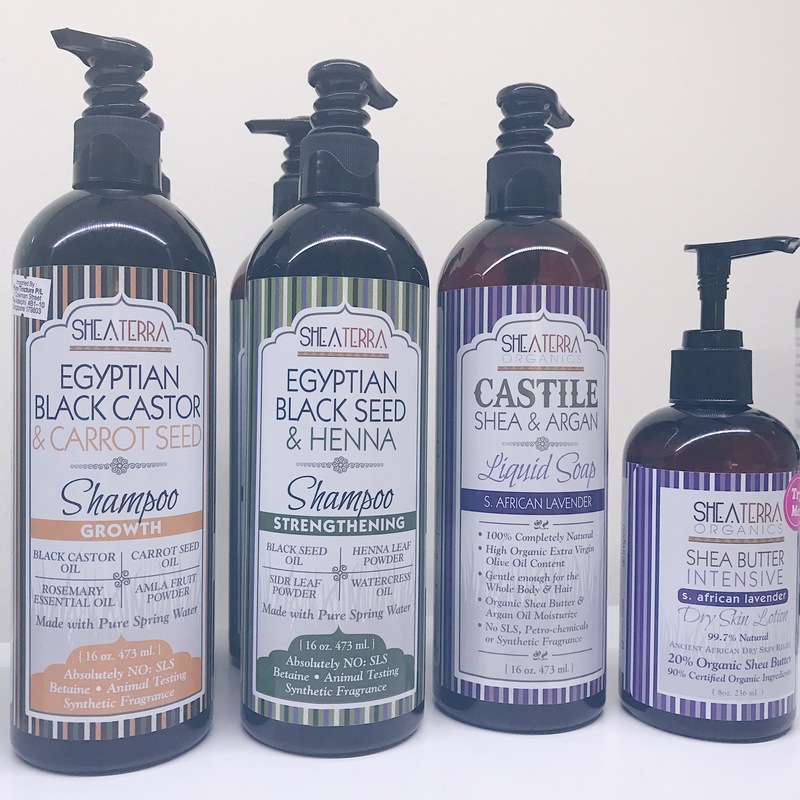 – Soap & Paper Factory – I am thoroughly attracted to this brand! Helen used one of their massage oils on my neck and shoulders during the session, and I just want to smell like that all the time! The oil she used is the Sakura Blossom massage oil. 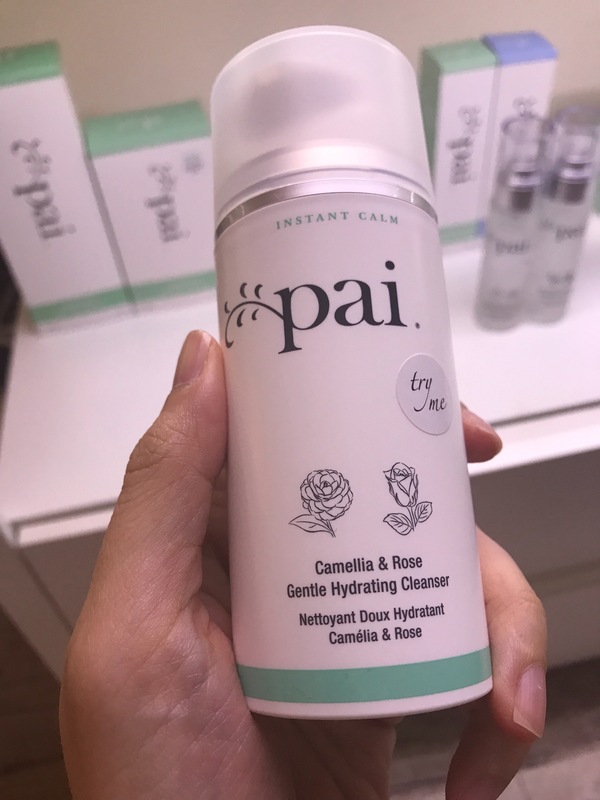 – PAI Skincare – Helen used the Pai Camellia and Rose Hydrating Cleanser on me to remove the light makeup I had on my face. It felt really soothing, and, yes, you guessed it, smelled awesome too. – PAI intensive conditioning mask – this is a salon professional use only product which was used as a second mask. It is a balmy creamy face mask which seemed to soak my skin in all its nourishing goodness. 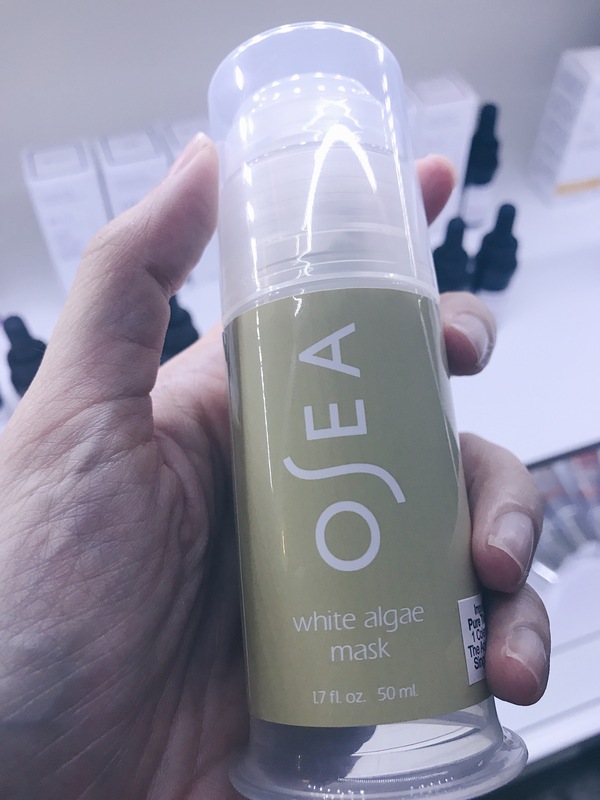 – OSEA white algae mask – The first mask used is a more of a glow enhancing deep cleansing step which detoxed my skin. 2: Helen’s knowledge and passion for organic beauty is really impressive and admirable. She shared with me how she sources for organic brands and incorporates them into her facials. 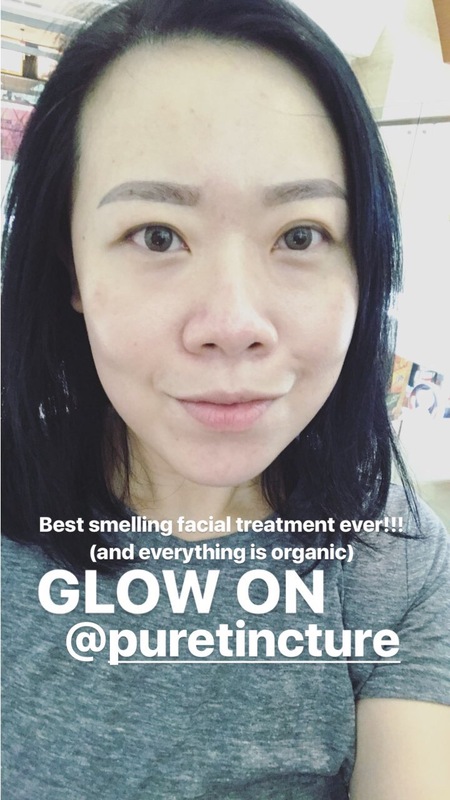 I love the fact that she really believes in what she uses for her treatments and only uses products created by companies that are genuinely passionate about their ingredients and doing good instead of focusing just commercial benefits. 3: There is more to an Organic Facial Treatment than just organic products and massage techniques. Throughout the 1.5 hour treatment, I experienced the best of both technology and the skillful work carried out by Helen. 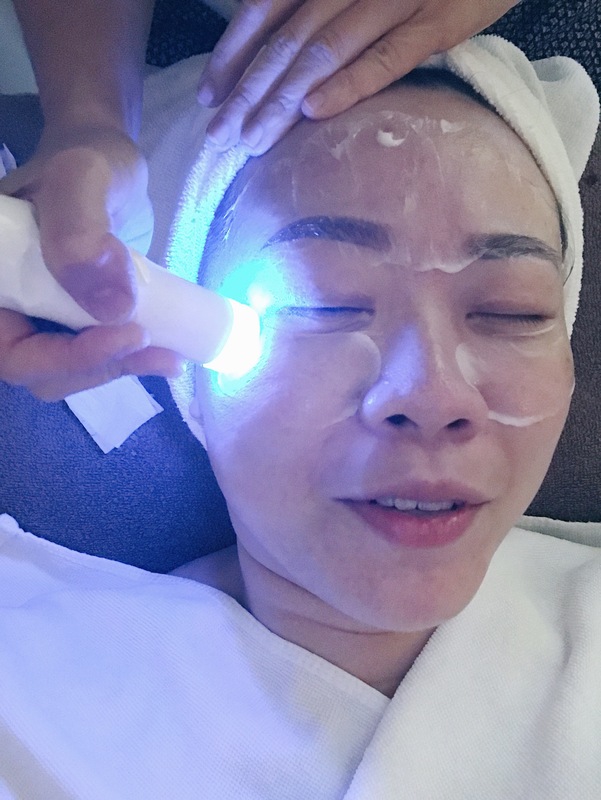 The steaming machine helped open my pores before she did extraction mainly around my nose, and the LED light therapy towards the end of the treatment helped to boost the glow and took care of the uneven tone in my skin. There was also an eye treatment included, which involved the use of a RF machine to lift and tone my eye area – and this is one treatment that Helen said is always highly requested by her clients. 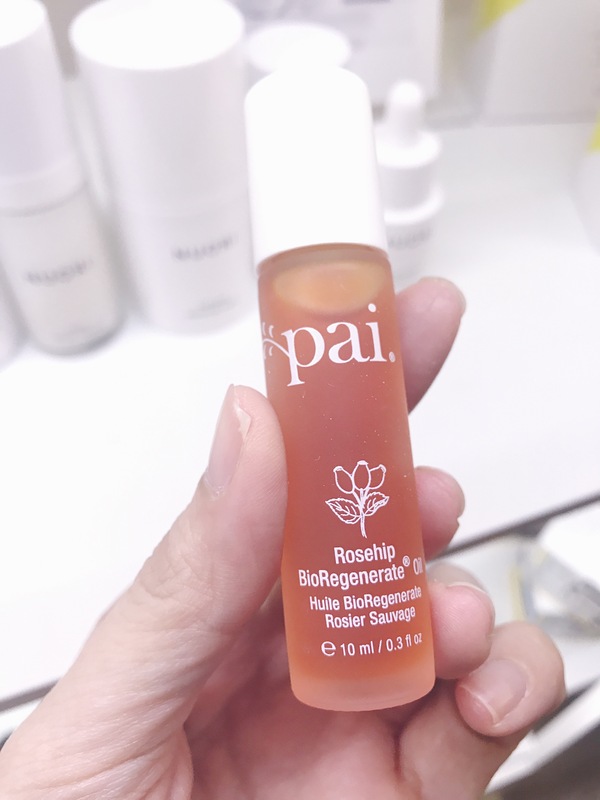 I also enjoyed the facial massage that she did using the PAI intensive conditioning mask, I think that step along with the LED glow treatment made my skin look extra extra soft and brightened today. She also used essential oils at the start of treatment (by lightly pressing on the accu points of my face I think) which really help me to settle into the treatment for the next 2 hours or so. And in addition to all the facial treatments going on, she also added shoulder, head and neck massage. These details are certainly thoughtful and ensure that you are totally relaxed. They also do provide a menu of their facial treatments, but I do recommend that you have a chat with Helen about your skin concerns and she will know what to do from there. She has another therapist working there too, and I am very thankful that I had the pleasure of spending the 120 minutes with her as we chatted about organic skincare, her work and even our health-care routines (yoga, running, clean-ish eating…). Overall, I think this has been a really refreshing experience. I might not turn into a green beauty junkie or go all organic, but I do feel more aware of the benefits of using these products in my routine. 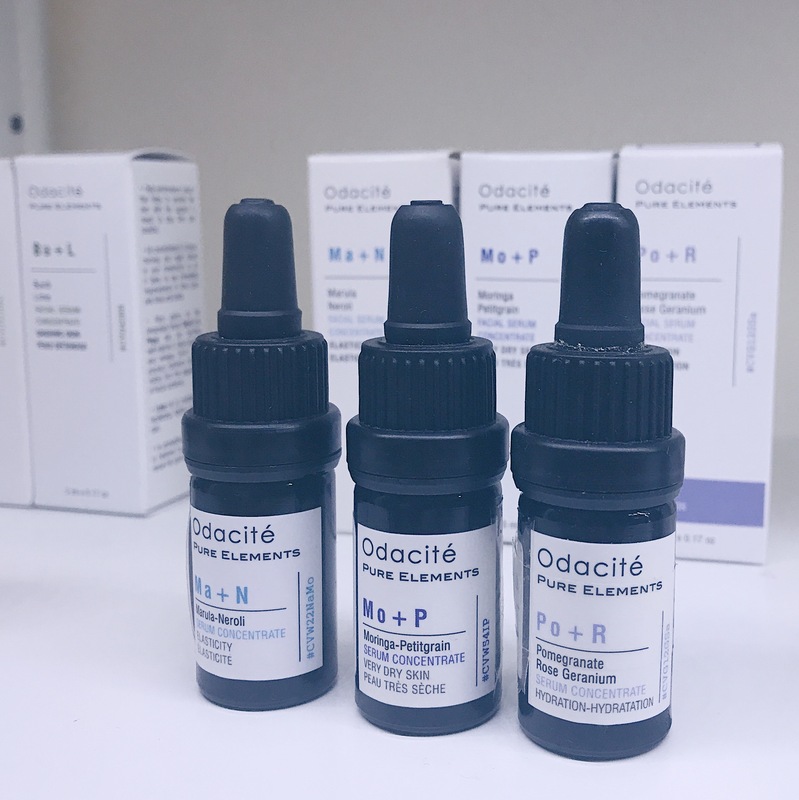 I often get people asking me product/ treatment recommendations for sensitive skin, and I think you just might find the right treatments and products at Pure Tincture. I hope that my sharing has been helpful and thank you for reading!! Pictures below, some products that caught my eyes and that were used during my treatment, and a post treatment pic. My last entry was 5 months ago. This is not a decision which I consciously made. Things just took over, and I just didn’t feel the urge to post anything. There won’t be any pictures in this entry, it is just a spur of the moment urge to update. I probably shouldn’t be spending anytime here, but sometimes distractions are necessary. A few reasons why I have not been blogging – I won’t say that I have STOPPED or QUIT, I just simply did not post anything. I don’t think I will ever quit nor shut down the blog. My computer (my macbook pro) is really old and laggy and using it to process photos and write is really a chore. I have such a horrible backlog situation that I don’t know where to start. I have not been using a lot of different makeup products to share. And I hate to post entries where I only show you flatlays or swatches on my hands without really using them. Along with that, I have stopped attending or responding to many makeup brands that invite me to preview their collections. I figure there are a lot more other ‘influencers’ and beauty bloggers who can do a more timely and better job than I. You find that I am only sticking to my fave brands that I have worked with for years and year, because I am genuinely interested in everything they do. 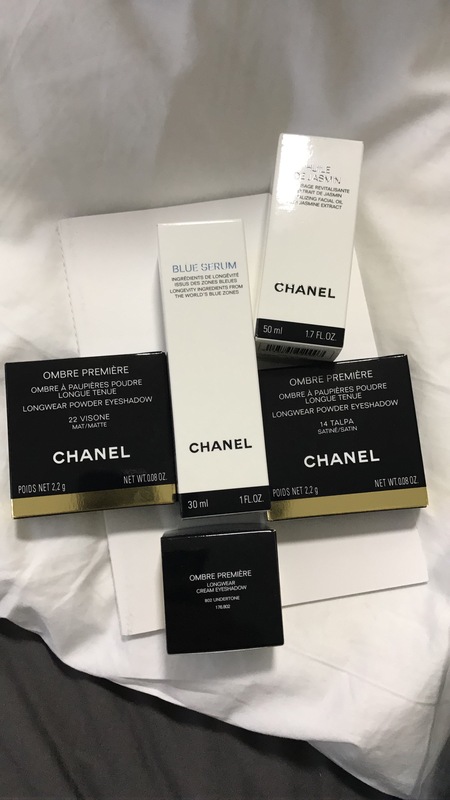 Like NARS and Chanel, and the few skincare brands which I love. I am busy. Work, new house, family stuff have all taken my mind away from blogging lately. I feel like I am constantly catching up everywhere, and when I have moments to myself, I just want to get some yoga done, have a meal by myself, or just breathe and do nothing. I am going to buy a new computer, hopefully by June. But I also feel like buying a Goyard bag. Hmm. Now that I have my own place, and my own beauty room, perhaps it might be more organised and easier for me to start blogging again. Provided I get my new computer. We will see how that goes. I am almost fully moved into my new place. As you can see from my instagram – it is all I am thinking of these days. The renovation was smooth sailing, and I am so happy with the results. I didn’t hire any designer, I choose everything, and I planned everything myself. This is a major milestone, and I am super excited. Regardless, I hope to start updating again in June when I am more settled. It’s been a rough past month shuffling out of boxes, moving stuff, clearing out my old space. But I am almost there. I did a couple rounds of a ‘thermage-like’ treatment, and I think it is pretty awesome – even more so if you have more visible concerns than me. I think I need to share about this, but I just need to get into the right frame of mind to do so. I also micro-bladed my brows a couple of days ago. The amount of time saved in doing my face in the morning – PRICELESS. Hope everyone is doing well, and thanks for reading! The collection is made up of a range of very wearable and classic colours – soft reds, neutral olives and browns, and classic beige and noir red. The immediate thing which jumped out at me, is of course the Coco Code blush – it contains four quadrants of a pearlised pinky bone shade, satin matte bronze shade, soft matte red shade, and a soft metallic pale gold shade. 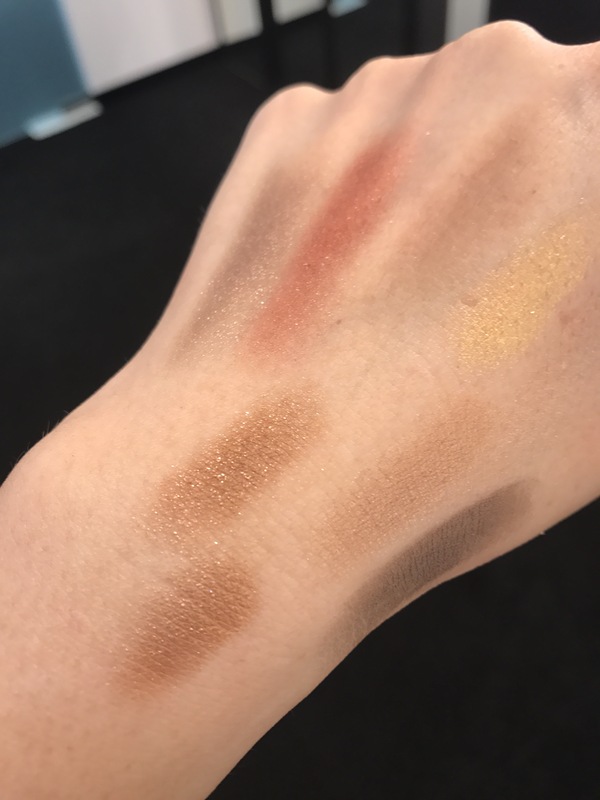 I have swatched each quadrant separately, but in my overall look, I just lightly tap each shade (instead of swirling over everything) and applied as a blush. I then only use the bronzer shade to warm up my complexion, and only the pinky bone shade as a soft cheek highlighter. Next, there are two quads in this collection, and I picked the one which has the khaki/ olive shade. 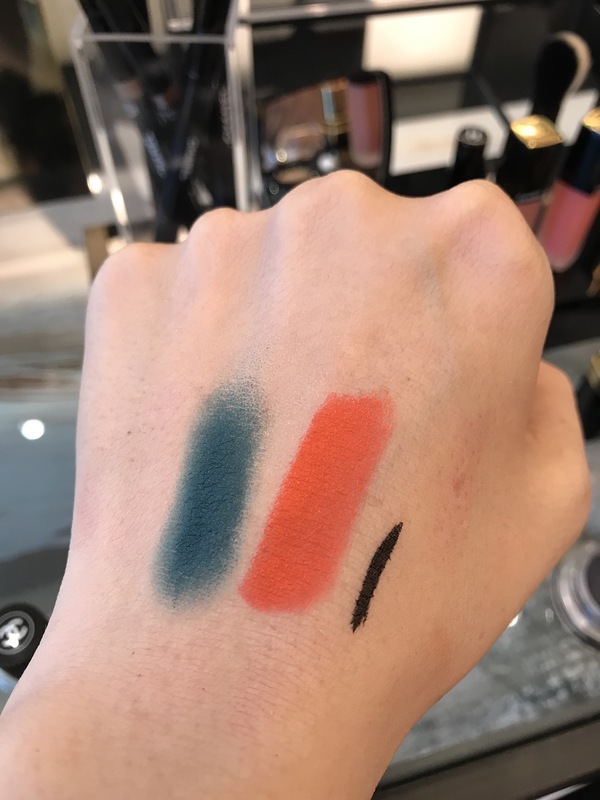 The quad has decent payoff, but there is some powdery kick off when I swatched and pick up colour.. but the kick off (or should I say fall out) is miminal when I am actually applying the colour to my eyes. I had used the brown shade all over my eyelids, and blending out the edges. I then used the pinky shimmery shade only on the middle of my lids for a more dimensional ‘spotlight’ pop. I used the olive shade as an eyeliner, mainly on the lower eyelids and also on the outer corners of my upper lash line. The only shade I didn’t use is the pale gold shade – though I would have probably used it on the inner corner of my eyelids. 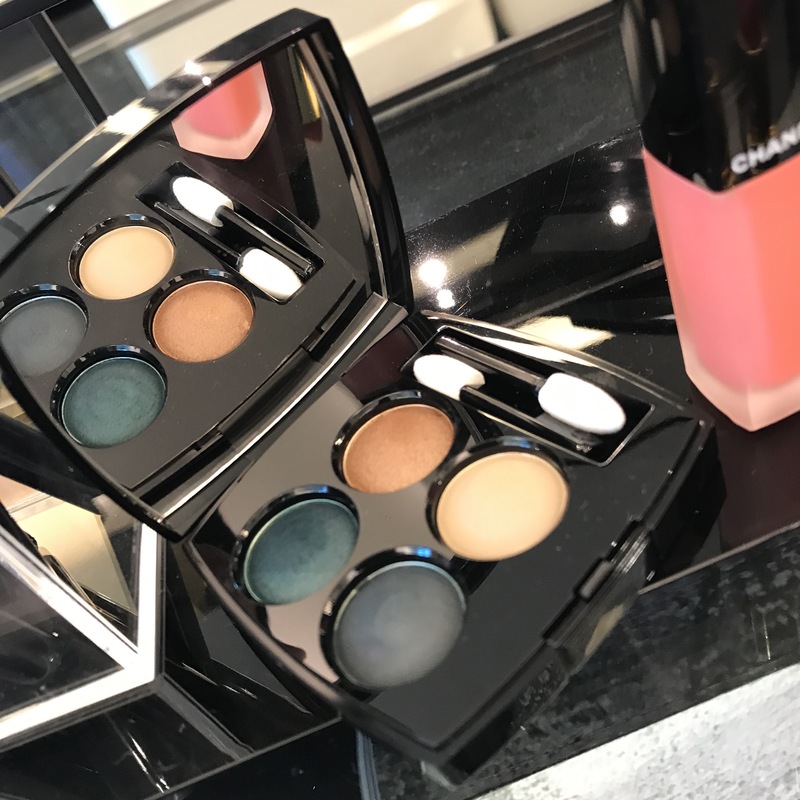 A nice pretty quad, but nothing too striking if you already own many of Chanel’s khaki-olive eyeshadows. Lastly, I have a rouge coco shine – Noir Moderne – which is a deep berry shade. Some Rouge Coco Shine can be pretty intense for a coco shine, but this one is quite sheer, and it is like a MLBB berry shade. I love this, and I miss how balmy and hydrating the Coco Shines are. Wore this out for NYE, and I was happily reapplying it without having to use a mirror. It is that effortless and awesome. I know these are my top picks.. but if you have to shortlist these pieces further, I would definitely say the Coco Code blush, the lippie, and the Beige Beige nailpolish are must haves! 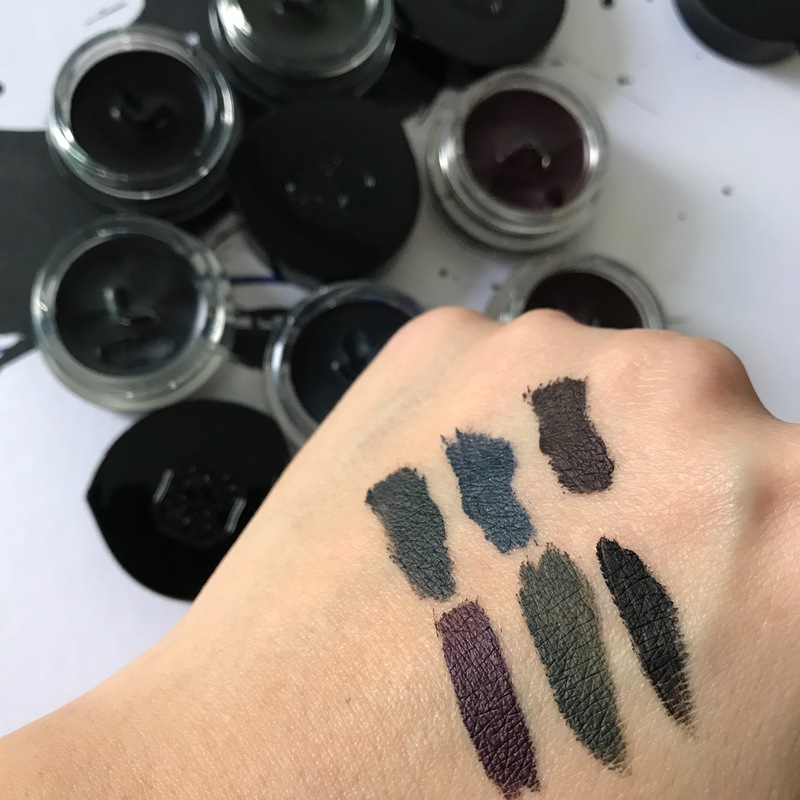 I know I didn’t swatch and take pictures of the nailpolish here, but if you follow me on Instagram, I will pop them on there when I wear the colours again! I know some people are like, how to touch and use this beautifully embossing? I used my fingers to swipe across each quadrant, but realistically you would use a brush, and everything was restored back to ‘normal’ after I have used my brush to pick up the product. 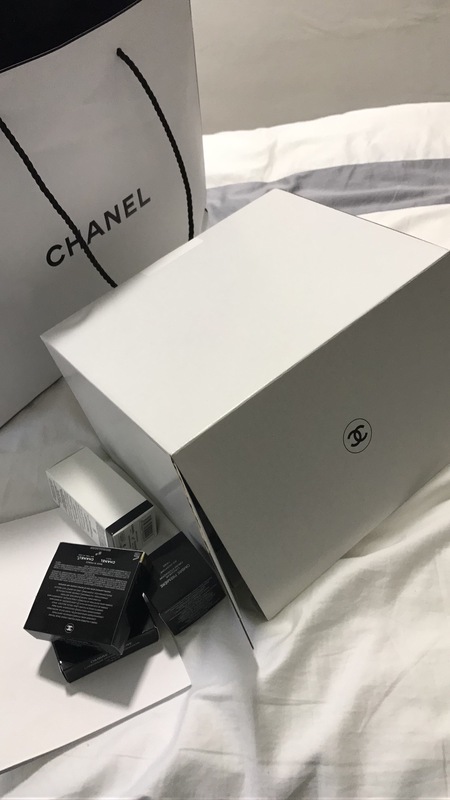 Of course the lettering would wear off when you use this often enough, which is still okay, I have way more intricately embossed Chanel powders which I really can’t bear to use too much of! This is still quite ‘use-able’. Hehe. Besides, it has decent colour payoff, and if you don’t end up using it (and just keeping it as a collectible) that would be such a pity. Hope you find this entry helpful, and thanks for reading!